We invite you to reach out with any questions, concerns or needs during your radon mitigation process. Moreover, we understand that many are involved in a real-estate transaction when they encounter the dangers of radon gas exposure. We understand the stress of your situation and we pride ourselves on handling any radon situation throughout your transition so your closing is smooth and cost-effective. Whether you are the buyer or seller or simply a rooted homeowner looking to improve their indoor air quality, Colorado Radon Pros will ensure the absolute best customer care, exceptional workmanship and extremely competitive pricing. What is Radon Gas and Why is Radon Gas Exposure Dangerous? Radon gas is a Class A Carcinogen. This means, radon gas exposure is known to cause cancer in humans and the knowledge of this comes from evidence gathered in reputable scientific studies. Radon is a soil gas formed during the natural breakdown of uranium decay products present in earthly materials. Radon gas is not detectable through any human senses and can only be properly assessed through acceptable radon testing kits and professional radon testing equipment. It is a common misconception that some areas have no radon when in reality, radon is present everywhere. The average outdoor radon concentrations in the United States range from approximately 0.4 pCi/L to 0.7 pCi/L. The United States EPA sets the radon action level at 4.0 pCi/L. This means, they recommended any home or structure that tests at or above 4.0 pCi/L should be mitigated to protect against the dangers of prolonged exposure to elevated levels of the highly radioactive gas. Although the EPA ascertains that 4.0 pCi/L is the action level for home and commercial property owners, they highly suggest considering mitigation at levels between 2.0 pCi/L and 3.9 pCi/L. In fact, the World Health Organization has set their action level at 2.7 pCi/L. Therefore, many homeowners with concerns about indoor air quality may want to consider radon mitigation practices at numbers below the traditional standard of 4.0 pCi/L. The known danger of prolonged radon gas exposure is lung cancer. In fact, radon gas is the #1 cause of lung cancer in non-smokers. The EPA and Surgeon General estimate approximately 22,000 lung cancer deaths each year are due to radon gas exposure. Furthermore, smokers that are also exposed to elevated levels of radon gas for prolonged periods of time have a substantially greater chance of developing lung cancer. This is of course because of the double exposure to two known Class A Carcinogens but also because radon gas prodigy stick to smoke molecules in the air and are ultimately brought into the lungs through the breathing process. Lastly, it is said that children are at a high risk during radon gas exposure because of their increased respiratory rates. Because their respiratory rates are greater than those of an adult, they may breathe in more radon gas during the same exposure time frame and that exposure may also be absorbed through more fragile, less developed lung tissue. Radon mitigation in Denver is extremely important because the entire Denver area is considered to be at a high risk for elevated levels of indoor radon gas concentrations. The EPA has studied radon testing patterns throughout each state and categorizes the vast majority of Colorado’s densely populated areas as high risk areas. The good news is that radon gas issues can be easily and affordably remediated. There are many ways to conduct radon mitigation but the most common and widely respected radon mitigation tactic is known as active soil depressurization. This concept of active soil depressurization is most commonly accomplished by creating a sub-slab depressurization system. As one may be able to gather, the soil beneath the slab of the structure needs to be depressurized in order to redirect the radon, before it enters the dwelling space, and ultimately succeeds in radon infiltration. During sub-slab depressurization, the radon technician will core a hole in the slab of the structure and dig out a 5 to 10 gallon pit beneath the slab to create what is known as a suction pit or collection point. This void space beneath the slab allows for good air flow and will help assist in drawing out the radon from soil gas sources further away from the collection point itself. 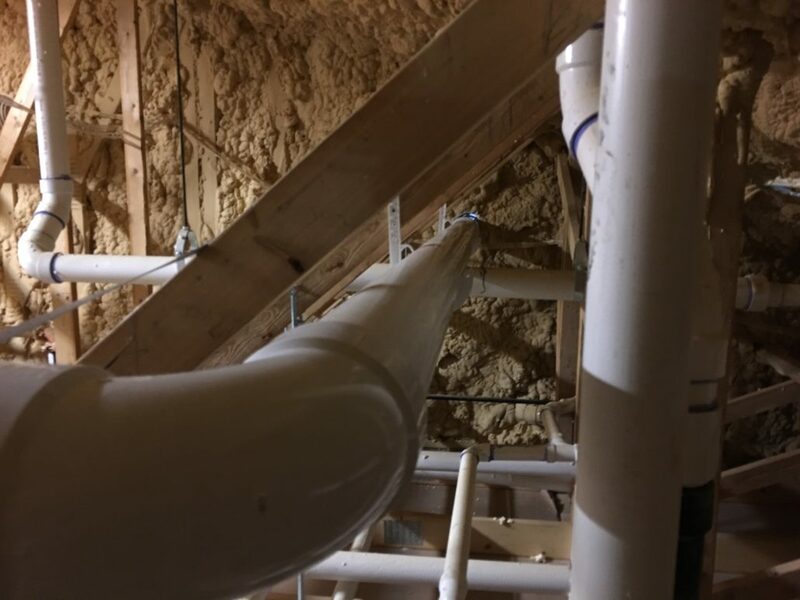 In some instances, when a sump pit or interior drain-tile system is present, the radon mitigation contractor can tie the system into this area of construction and create maximum depressurization under the slab through what is known as drain-tile depressurization or sump-pit depressurization. A very important part of the radon mitigation process is then sealing the sump pit or any other short circuits that may hinder maximum soil depressurization. However, it is extremely important to note that sealing, in and of itself, is not an EPA approved method of radon mitigation, nor is it sufficient in retarding the radon gas and radon prodigy from concentrating within a dwelling space. Call 720-696-0391 or fill out the form below to let us know your Radon needs.